Leading Manufacturer of resistance temperature detector, thermocouples series, thermocouple sensor, industrial thermocouple assembly, thermocouples insert and industrial rtd pt-100 sensor from Vadodara. 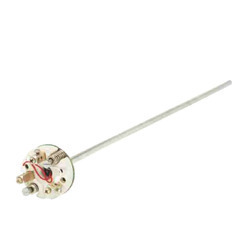 Having a definite quality management system, we are regarded as the noteworthy trader and supplier of an extensive gamut of Resistance Temperature Detector. The offered detector is thoroughly tested on different quality parameters and is widely demanded in different industries. At vendors end, provided detector is manufactured by utilizing finest quality raw material and advanced technology. In line with industry standard we provide the entire range in different customized options and at affordable prices. Our organization has successfully expanded its business in market owing to the offered elevated quality array of Thermocouples Series. The offered series is manufactured utilizing best quality raw material and advanced technology. Moreover, a team of our vendors' quality examiners conducts a series of quality tests on the entire range of series to seek out any possible fault. In tune with industry standard, we provide the entire range of series in various customized options and industrial leading prices. 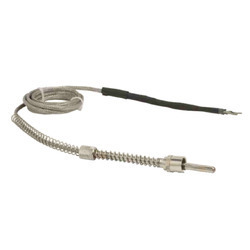 We have marked a distinct and dynamic position in the market by providing a high quality array of Thermocouple Sensor. Our offered sensor is availed in a variety of sizes, dimensions and other such specifications to choose from. The offered sensor is precisely designed and manufactured at our vendors highly advanced manufacturing unit following industry distinct guidelines. The offered sensor can also be availed from us at the industry leading prices. 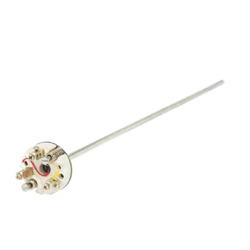 We offer Industrial Thermocouple Assembly that are provided with ceramic protection tube. This product is also highly advantageous in measuring radiation in temperature, especially after it has been used for a while, or in cases, where the insulation between the wires loses its resistance because of adverse moisture or thermal conditions. 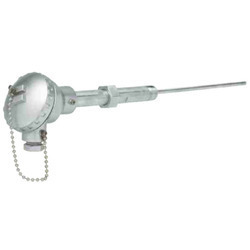 Manufactured as per client's specific requirements, these thermocouples can be availed by clients at affordable prices from us. RTD Insert offered feature mineral insulation support that supports usage at elevated temperatures. Featuring RTD for adjusting insertion length, we make these available in different standard sheath diameters and construction material choices. 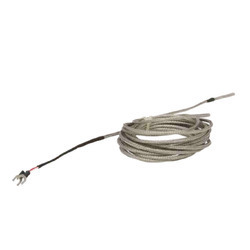 Further, these are also provided with cold end termination support supported by plug and jack connector for applications needing quick disconnection.